It has been another active Saturday for our little family! 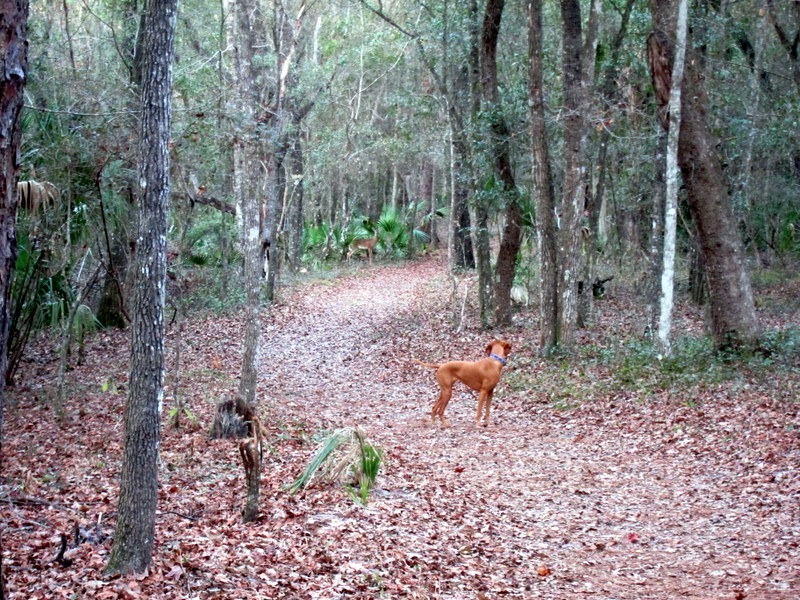 After breakfast, we knew Sadie needed some exercise and took her out to a nearby state park for a two-hour hike through the woods. 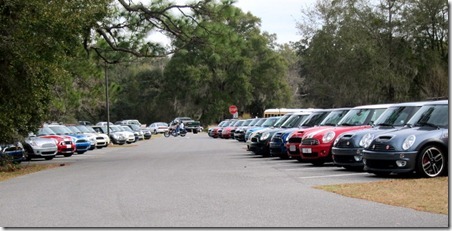 We arrived at the park just as a whole bunch of Mini Coopers were pulling in. Apparently there was some kind of a Mini Cooper meet up held around noon today at the park for a cook out. We just happened to be riding in Ryan’s SUV and I asked him if he had a piece of scrap paper that we could use to quickly make a make-shift bumper sticker that said, “Your Mini Cooper is a POS,” and then park right in front of that guy. 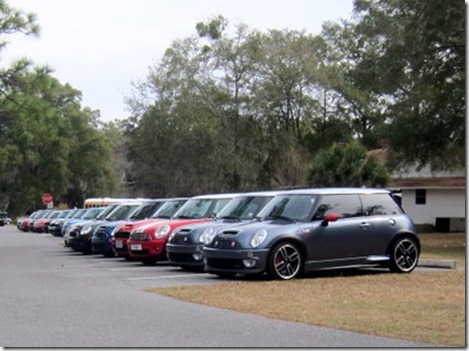 I’m pretty sure our car would’ve been keyed by all of the angry, retaliating Minis, but at least it would’ve made me laugh. Our hike was less adventurous than our previous hike… but in a good way! We did see some wildlife though, but it was much less life threatening, so that’s always good. 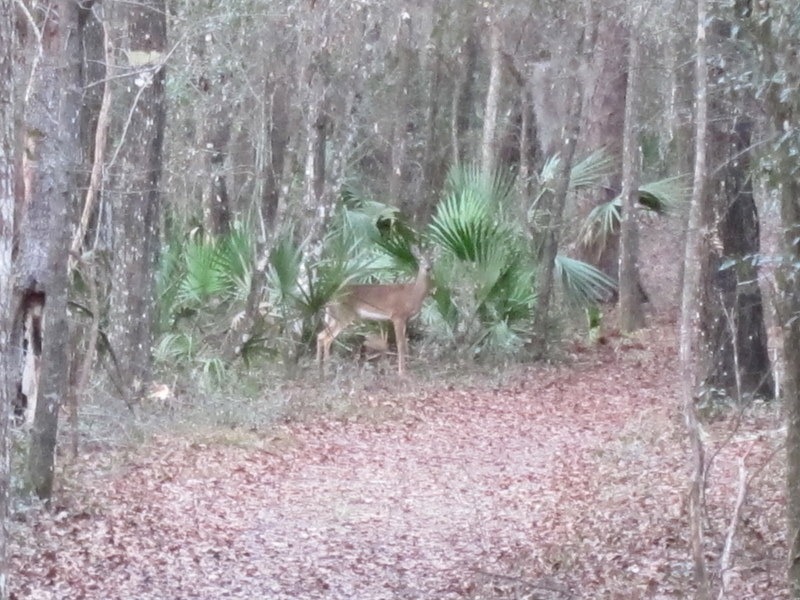 We also saw a very curious deer. 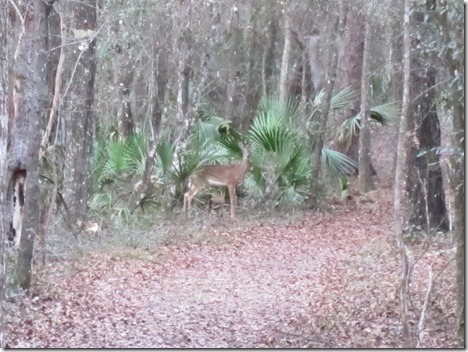 We stood on the path looking at the deer for quite a while as it simply stared back at us. Sadie was a good girl and didn’t even try to stalk it! Can you see it? It’s in front of Sadie to the left in the above picture. 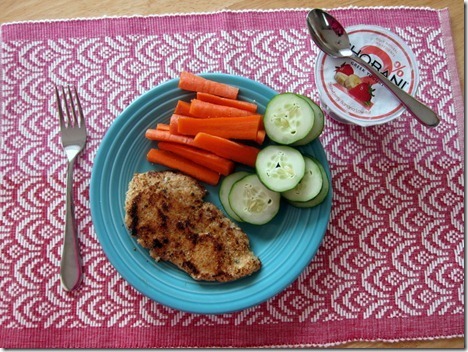 After our hike, we came home to shower and eat a quick lunch. 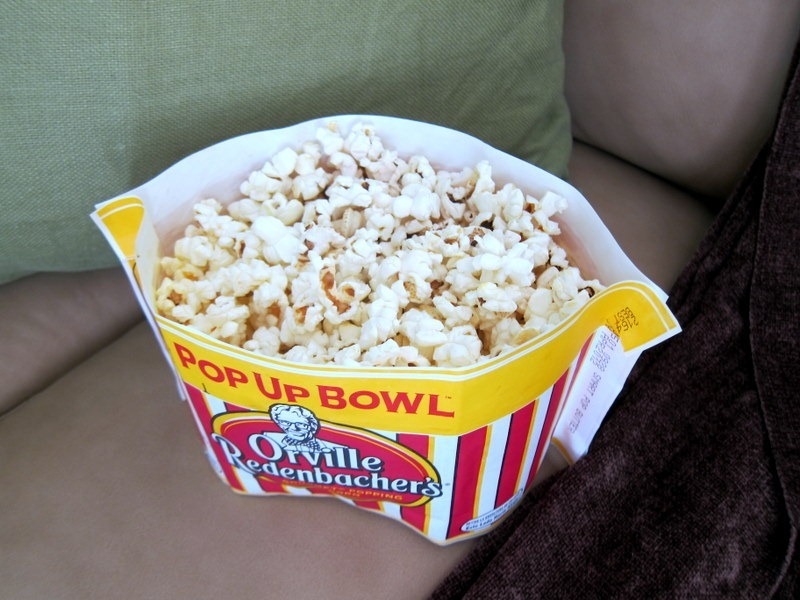 While I was preparing lunch, I popped up some Orville Redenbacher’s smart pop popcorn to help satisfy my hunger as I cooked. I think my craving for the popcorn was sparked earlier in the day when I emailed the company the questions you guys submitted for Bernie as part of my partnership with them this month. I wanted the saltiness and was too hungry to wait for lunch! I ate about half of the bowl before rolling it up and clipping it to save the rest for another snacky time. Today’s lunch included pork chops that I made by frying them in a pan after dipping them in a beaten egg and Italian breadcrumbs. Carrots, cucumber slices and a cup of Greek yogurt rounded out the meal. Then it was time for a mid-day date! As I previously mentioned, Ryan gave me a “Tour of Ocala” for Christmas, with tickets to a bunch of different area attractions to get a feel for our new hometown. Our first activity was zip lining and today we headed out for activity number two! The Appleton Museum of Art! 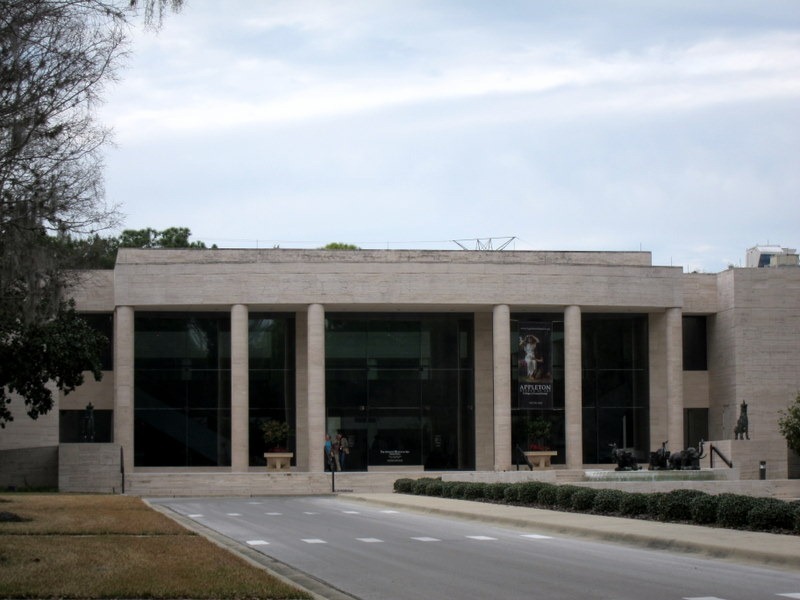 I have a soft spot in my heart for art museums since I used to work at the Orlando Museum of Art and enjoyed exploring. Though we had a good time checking out the artwork, Ryan and I decided to make things interesting and made up fake stories to go along with some of the paintings and sculptures to tell each other. Ryan explained that the above painting was miraculously inspired by the movie City Slickers. Clearly it was way ahead of its time, as it was painted in the 1800s. Not sure how exactly you can be inspired by a movie that doesn’t exist yet, but it is quite amazing. 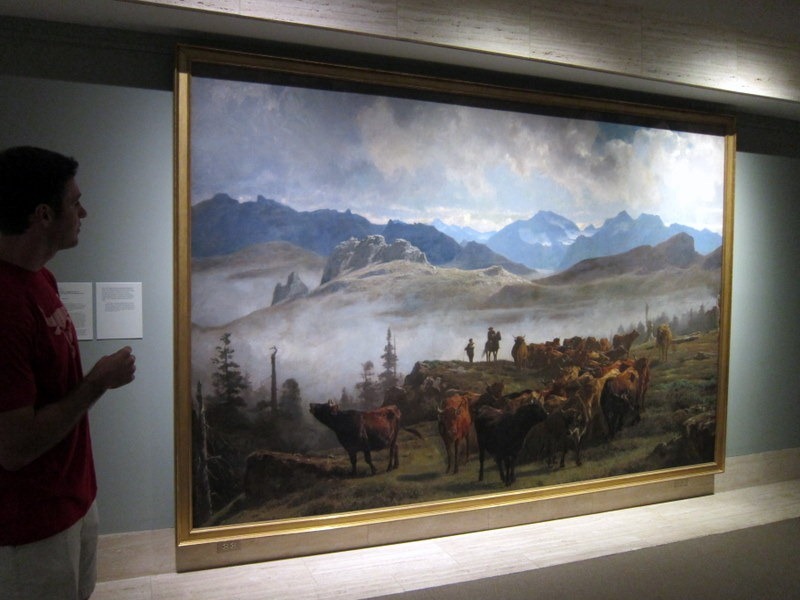 Ryan went on to explain that the artist intentionally made the painting the size of a huge wall as a big “screw you” to his family, forcing them to hang the ginormous painting in their house after they made him move from the city to the country. Fascinating, huh? My favorite part of the museum was the Katharine Hepburn exhibition. The traveling exhibition featured a large collection of the dresses and costumes Katharine Hepburn wore throughout her life. Unfortunately no pictures were allowed in the exhibition, but the dresses on display were gorgeous! On our way home from the art museum we ran a couple of errands before hitting up Dairy Queen to share a large Oreo brownie blizzard. The fudge they added to the vanilla soft serve absolutely made the Blizzard for me. So delicious. 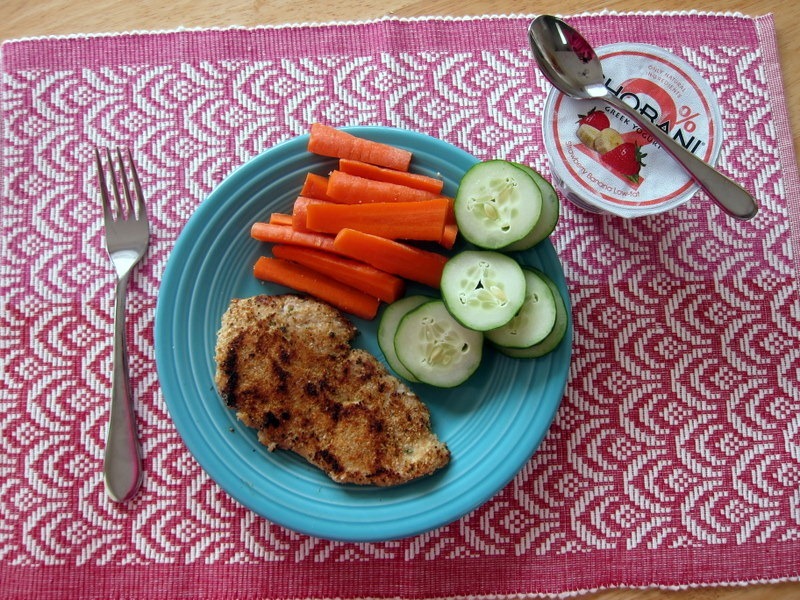 And now it’s dinnertime! Enjoy your night! looks like such a fun day! definitely more exciting than our day… ha! it’s been snowy/rainy all day here, so we’ve pretty much just been lazy bums. it’s been nice though! that DQ blizzard looks AMAZING. we don’t have many DQ’s here in utah… i miss my favorite butterfinger blizzards! that sounds like a wonderful saturday! I love exploring museums too, I’ve always been a huge fan of art. I’m still so impressed by Ryan’s gift to you – so creative! Has he always been good at giving gifts? 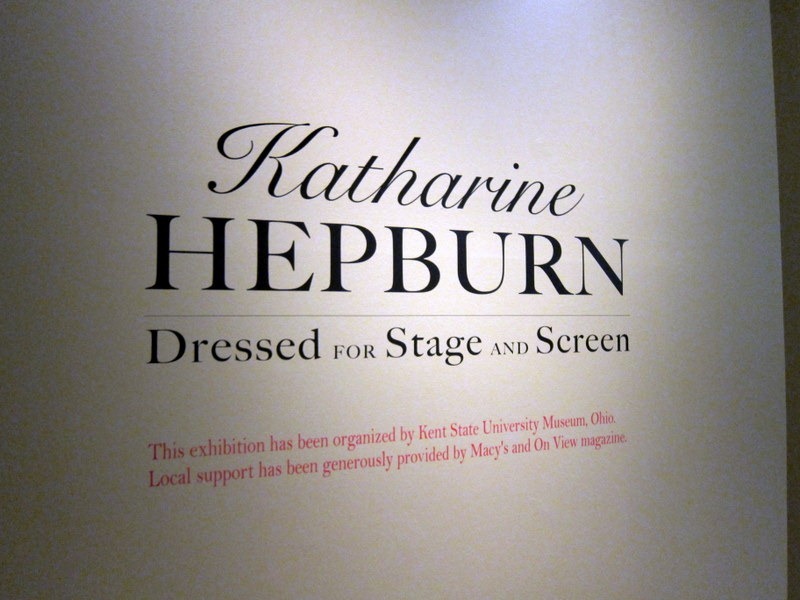 Oh wow, I’d LOVE to see that Katherine Hepburn exhibit! I bet it was stunning! Haha I love your bumper sticker! 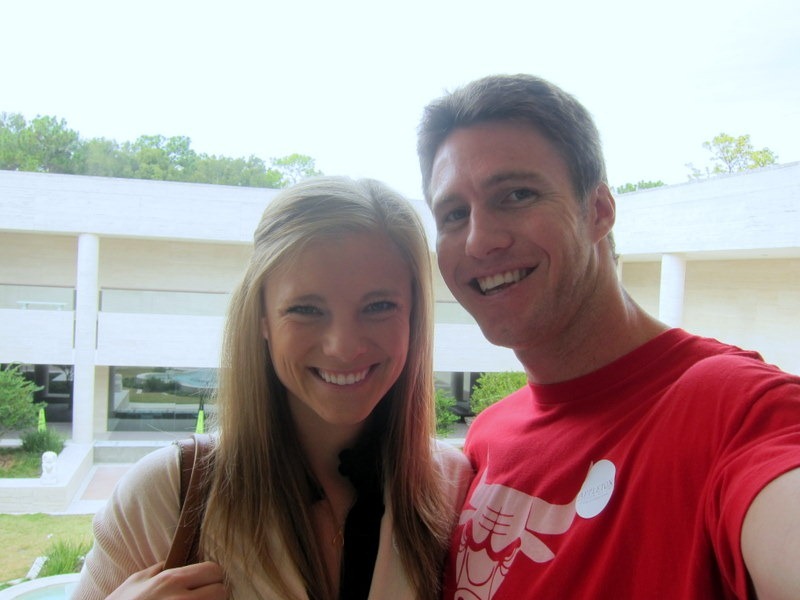 I love that Ryan gave you such a meaningful gift for Christmas – that is wonderful! Ask for a a pump of peanut butter sauce into that blizzard–it’s delicious! haha I really wish you would have made that bumper sticker…I literally laughed out loud! I just turned down ice cream at the grocery store but you are making me want some!!! Darn it! The fudge in your Blizzard was a little thing called “cocoa fudge”…..It’s my absolute favorite chocolate thing in the world! I’ve actually bought extra separately before, so I can have it later on my ice cream at home! It’s way better than regular hot fudge, because there’s a semi-sweet salty quality to it! 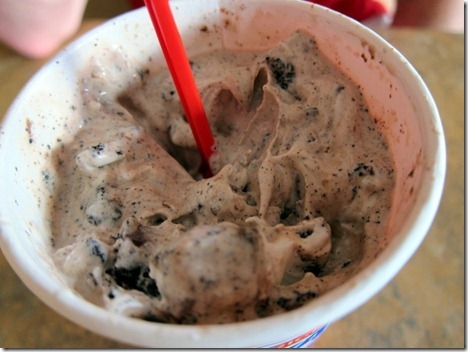 Do they always put the fudge in with the Oreo Blizzards? Or do you have to ask for it? Never heard of that and I’ve always gotten Oreo in the past. When I was in college someone actually put a bumper sticker on MY SUV. Something about how it was killing the environment. i was not happy, to say the least. 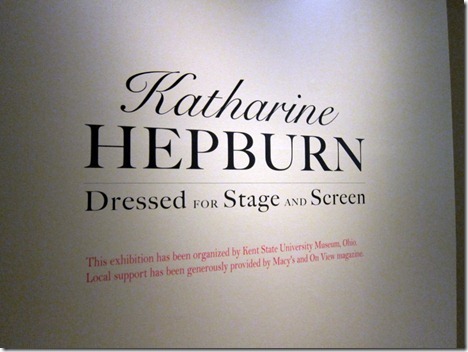 Ooh I would have loved to see the Katherine Hepburn exhibit! I love her! Any day that involves a blizzard is a good day! ok…hold the phone, popcorn and blizzards are my two most favorite things like ever…and pickles. jealous of your culture-filled day! Blizzards are one of my favorite treats — especially the pb cup ones! Looks like a fun day with a great ending – chocolate and ice cream! 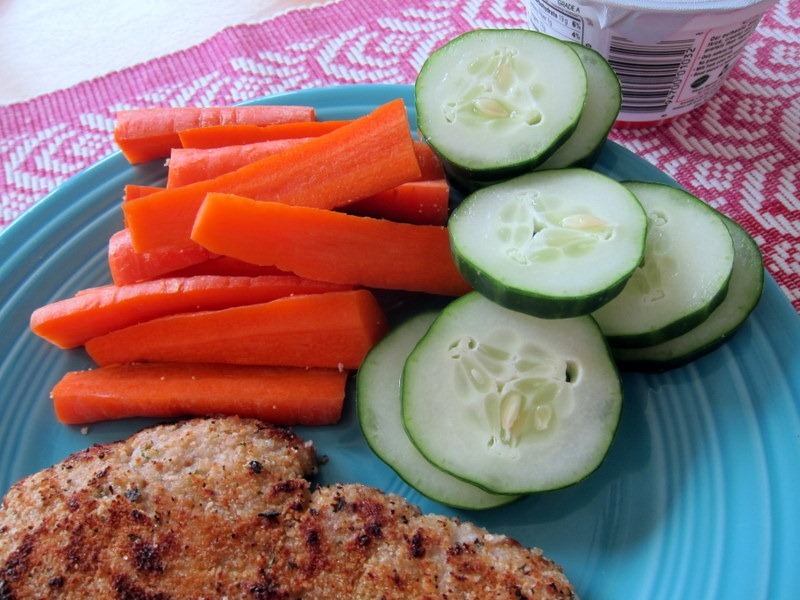 Always a winning combination! Hahah you should of made your own bumper sticker for sure! I have “parking tickets” from Urban Outfitters I put on people’s cars when they park ridiculous! Suddenly last night’s fro yo has lost its charm! Sounds like a fun day! I love anything having to do with the old Hollywood era so I think I’d really enjoy the Katie Hepburn exhibit! This is probably a really odd thing to notice, but if you’re in a state park, aren’t dogs supposed to be leashed at all times? The Katharine Hepburn exhibit sounds wonderful! 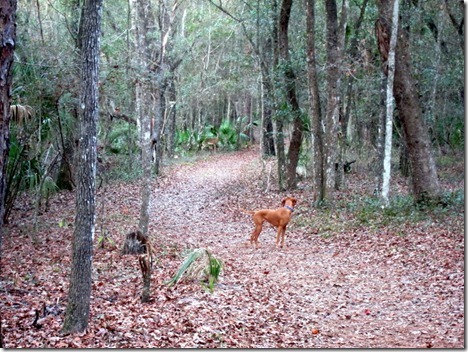 Not only are dogs supposed to be leashed in state parks but in Florida they are to be leashed at all times. It’s really a simple law to obey and I’m pretty surprised and disappointed in Julie for openly breaking it nonstop. I have had quite a few encounters and problems with unleashed dogs and it hinders my right to take my (leashed) dogs for a walk. Just because YOUR dog is well behaved off leash doesn’t make it any better for MY dog who gets very anxious when unfamiliar dogs are wandering around. 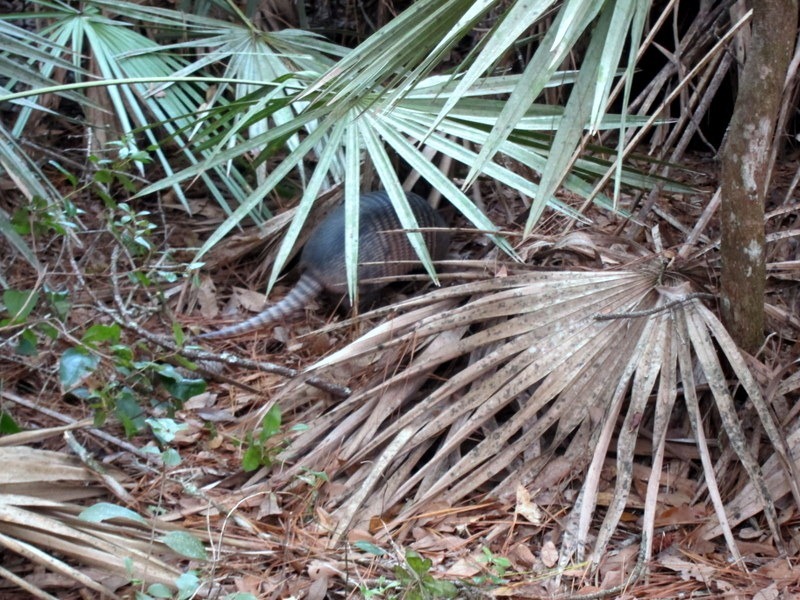 Ah, you saw an armadillo!! I swear I had seen one (LIVE) beside the highway when we were driving in Florida once and I was ecstatic, to say the least. Those things are pretty fascinating!! Super cool! 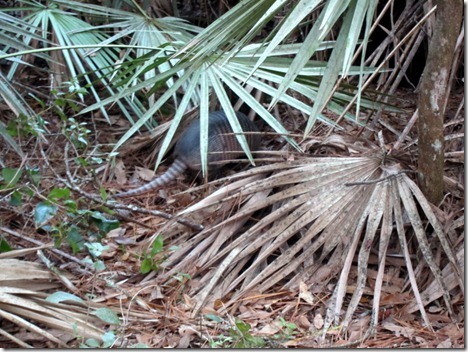 That is so cool that you saw an Armadillo – I have always wanted to see one! I love art museums, I wish we had a good one here! Diana’s exhibit with her dresses and it was amazing! Hey when you lived in Orlando, did you ever go to Gatorland in Kissimmee? We were there several times long ago, and I see they revamped the place in 2008. Haven’t been back since, but really enjoyed going there. Not near as busy as disney or other sites. i never did, but i’ve heard great things!